Reaching Chinese Worldwide introduces the many ways in which Christians may communicate the truth and love of God in Christ to Chinese around the world. 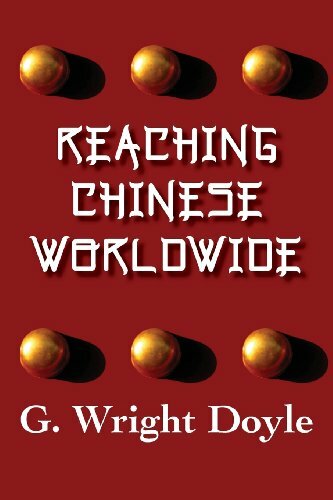 Drawing upon four decades of reading and experience, the author first lays a biblical foundation for cross-cultural witness, then briefly explores the various facets of ministry among Chinese: Preparation, Presence, Proclamation, Points of Contact, “Perfection” of Believers, Participation in the Body of Christ, Performance of Good Works, and Partnering with God. This nearly comprehensive survey contains both fundamental principles and practical suggestions useful for all those wanting to make a Christian impact on China.